This top is everything! We're obssesed with the color. 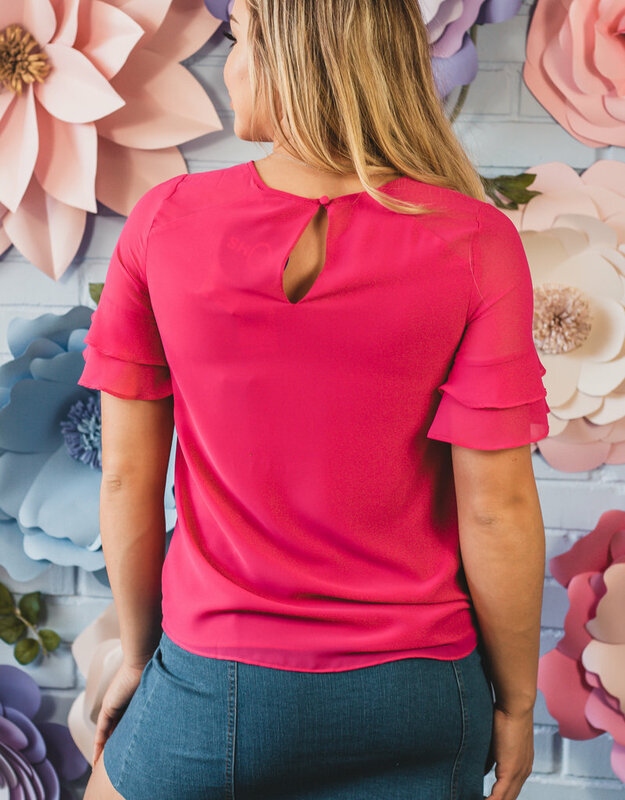 Our Allie top features a twisted bottom and ruffled sleeves. Pair this top with some skinny jeans to complete the look.